Turning waste into power is something Korean gas generator producer Hanatech knows a lot about. The company specializes in producing large, 450 kilowatt gas generators that turn biogas – carbon and methane emitted from waste sources like manure and trash – into power. These large 22 Litre engine power units are at work around the world – in a landfill gas generation plant in Scottsdale, Alabama and a pig farm in Vietnam, among others. But when the company was approached by a Japanese customer to produce power from a much smaller generator using liquefied propane gas (LPG), it sought out a partner in Westport. As a result of Japan’s 2011 earthquake and subsequent Tsunami, the country began to rethink its emergency power generation needs. Jeong says this created a demand for LPG-powered generators for internally displaced refugees to use for basic survival needs in temporary arrangements. Westport's Jun Chung looks at a power generator with a 2.4L LPG engine from Westport. Westport has supplied the Korean-company Hanatech with the engine as a demonstration product. “The market is growing very rapidly,” Jeong says. Westport has supplied Hanatech with a 2.4L LPG engine as a demonstration product, using a base Hyundai industrial engine platform. 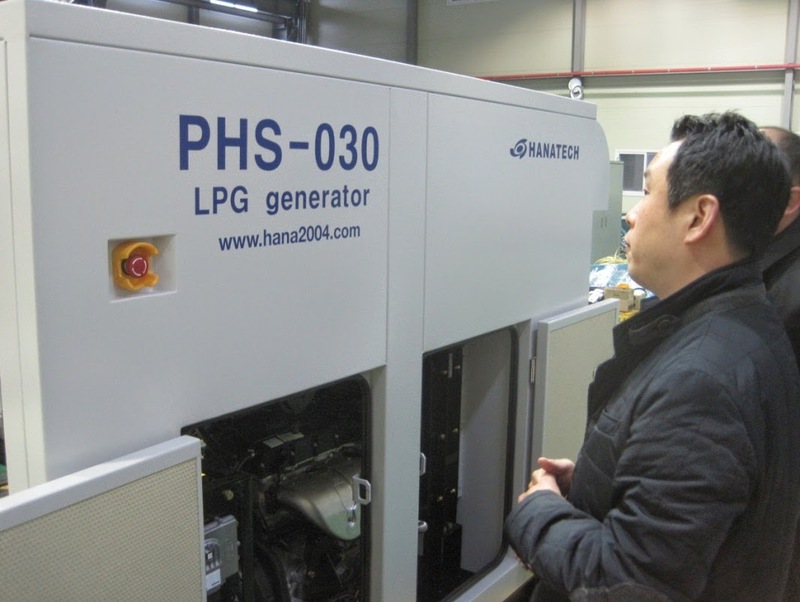 Hanatech has integrated the LPG engine into its power generator system and has successfully performed some preliminary validation testing. The European/Asian version of the product will be equipped to produce 25 kilowatts of power at 50Hz and the North American version will offer 30 kilowatts at 60 Hz. “Westport is always interested in new applications for its engines, and this is an opportunity we are excited to be participating in during this demonstration phase,” said Brian Chisholm, Westport director of operations. Hanatech will also be developing a generator system with Westport’s new 3.8L industrial engine for the same market and applications. This generator package will produce 40 kilowatts at 50 Hz and 50 kilowatts at 60 Hz. 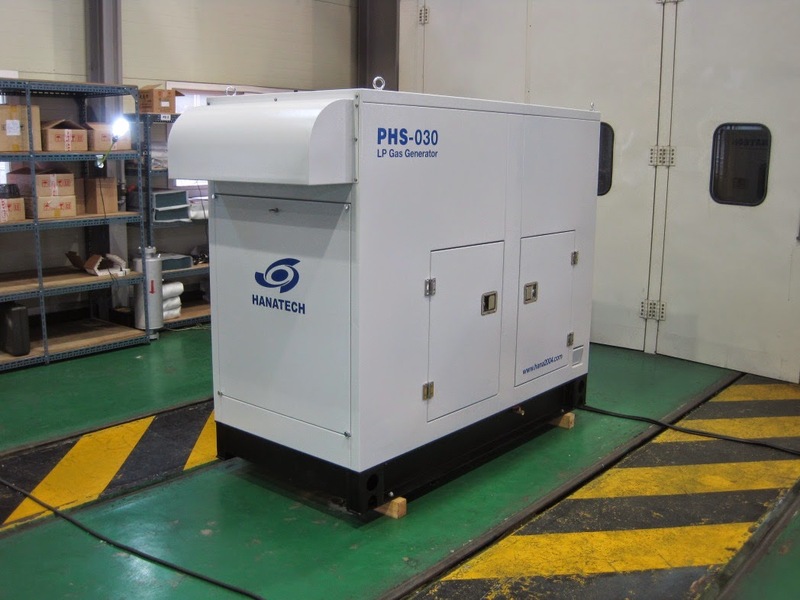 In addition to Japan, Hanatech is looking at future potential market demand for the generator in Indonesia, Thailand and Malaysia.